Luella & June’s latest sponsor really needs no introduction as I’m sure most of you have heard of Stella & Dot. The jewelry company is one of my favorites, so I’m thrilled to have them as a sponsor here on the blog. Have you checked out their latest arrivals? There’s so many fun pieces (like this gold necklace) that make a statement without breaking the bank. If you’re looking color, check out the Amalfi Collection. Or how about these Sunset bangles? I’ve got my eye on this adorable arrow necklace – a birthday present, perhaps? Is that not the cutest thing you’ve ever seen? It’s a perfect layering piece! No matter your jewelry craving, there’s something in this shop for you! 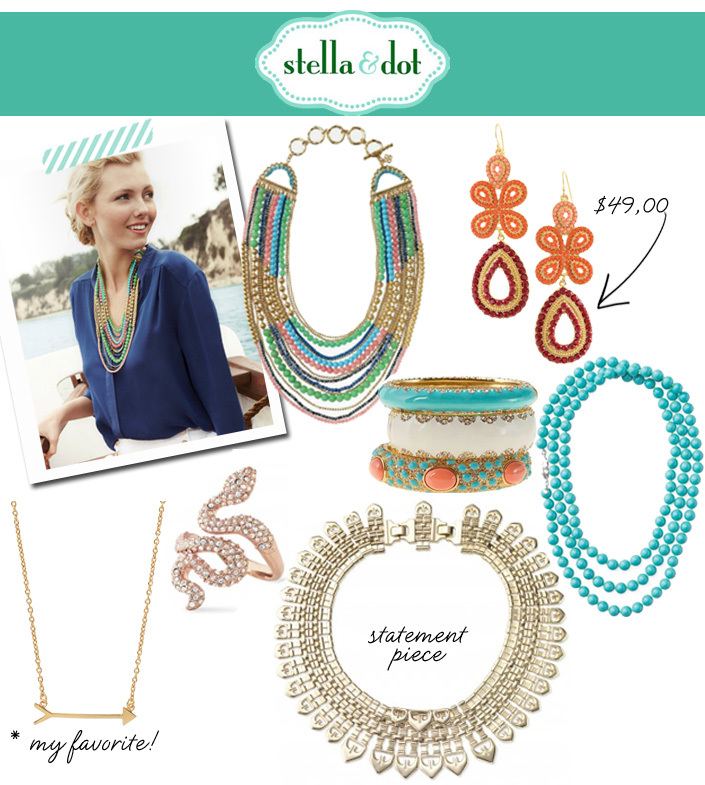 Love Stella and Dot! I will take all of those bangles!! The little aarow is TOO cute. i have that arrow necklace! I have it and wear it nearly every day. I adore Stella&Dot! the on the mark necklace is next on my list too!! LOVE stella and dot! Especially the dainty arrow necklace! love all of these, especially the arrow necklace! Many Africans and Asian wear these type of necklace. these are in their tradition.